The 133 meter long, 4700 dwt tanker Inzhener Nazarov caught fire in the Caspian Sea near Makhachkala, Russia. The fire started from some equipment on the upper deck and quickly spread to other parts of the ship superstructure. Reports state several of the 14 crewmen on board abandoned ship and were picked up by rescue vessels. One crewman was killed in the fire. Several other crew stayed on board to extinguish the blaze. Fire fighting vessels arrived on scene with eight fire brigades of men to fight the fire. After several hours, the fire fighters were able to contain and extinguish the fire. 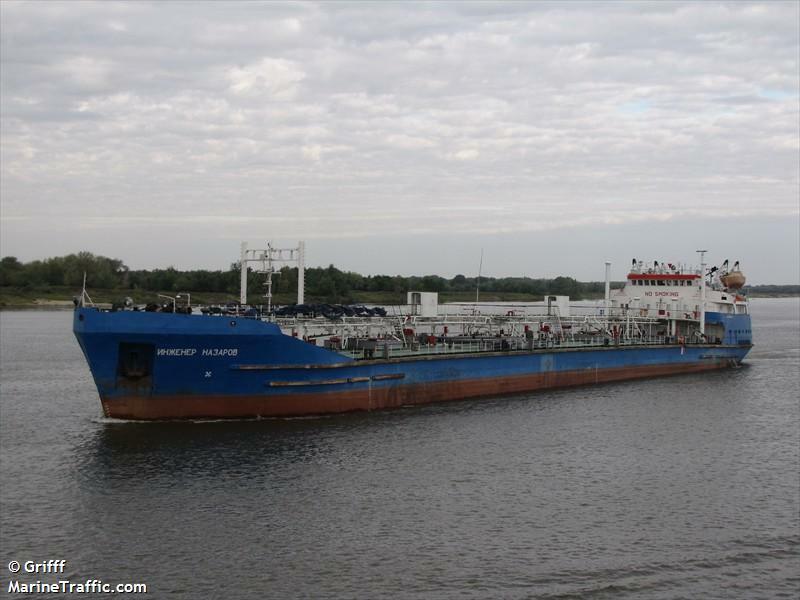 The tanker was in ballast only heading to Makhachkala. The cause of the fire is under investigation.